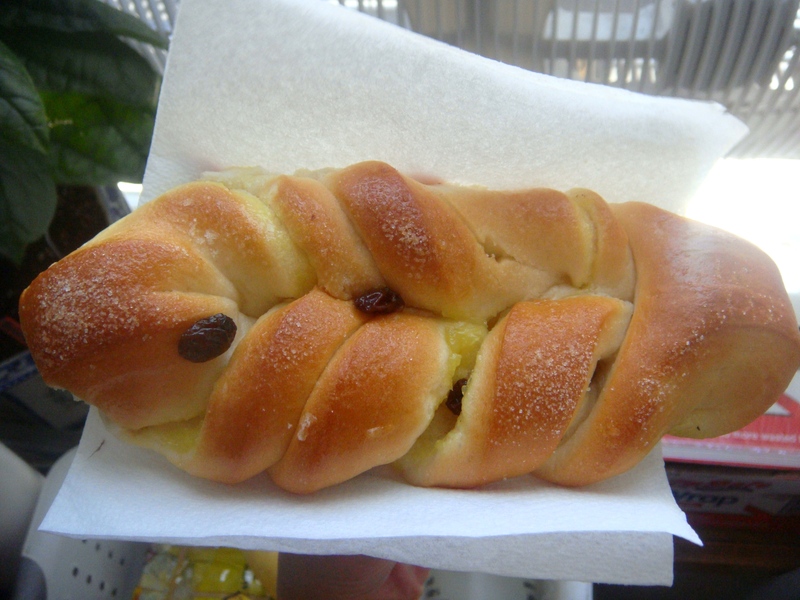 Raisin Bun | Delectably Scrumptious. I had this raisin bun for breakfast today. It costs only $0.80 from a Chinese bakery. The dough is very soft and sweet with a slight lemon filling. It is a good snack if you are ever on the go!